Jay Blake is founder and president of Follow A Dream, and the only totally blind crew chief in the worldwide sport of auto racing. 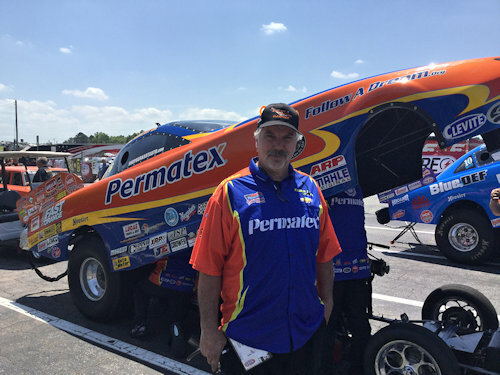 He has more than 15 years experience as a professional auto mechanic and more than 25 years in drag racing. 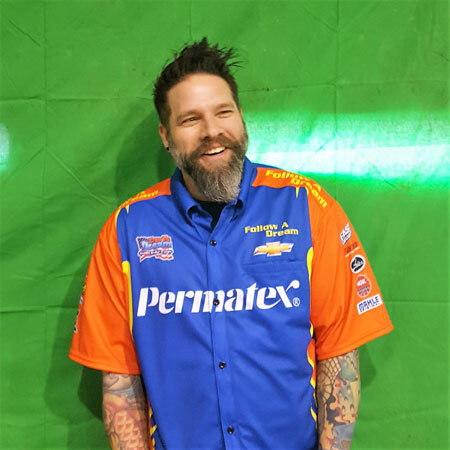 Jay is responsible for the organization’s management, operations and community outreach programs, as well as performing mechanical work on the racecar. 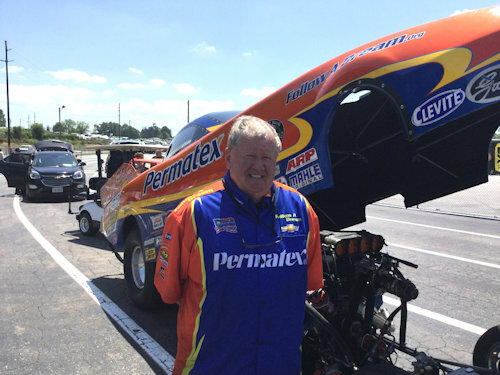 Jay leads his team of racing professionals in NHRA Top Alcohol Funny Car competition, where they won the 2012 East Region championship and finished the season ranked 11th in national points. Jim Blake is vice president and treasurer of Follow A Dream. Jim has 28 years of racing experience including multiple top ten finishes in the New England Points Series. In 1987 Jim debuted what would become the World’s Quickest Clean Air Dragster, powered by propane. In 1993 Jim was awarded “The Sportsman of the Year Award”, by his fellow racers. Jim assists his brother Jay with managing Follow A Dream and is a full-time manager for Eastern Propane & Oil in Danvers, MA. Born and raised in Utica, New York, Phil Burkart began his drag racing career at the age of 14, starting by bracket racing a rear engine dragster. He transitioned to racing a 23T Altered in Super Comp and then stepped up to driving a Top Alcohol Funny Car. 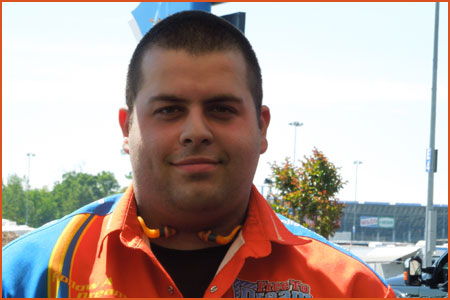 Phil spent the next several years racing throughout the East Coast in NHRA regional and national events as well as a number of match races. Phil began racing in the Nitro Funny Car Class in 1998, and spent the next 10 seasons earning four national event titles and numerous round wins. 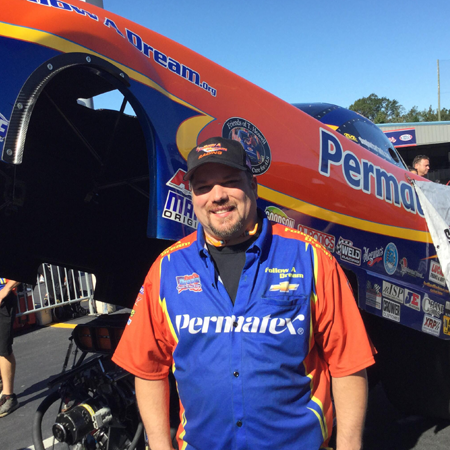 Phil joined the Follow A Dream Top Alcohol Funny Car team as driver for owner Jay Blake for the 2016 season, earning one win, one runner-up and finished second in NHRA Division 1 and 14th nationally in NHRA TA/FC competition. Expectations are high for an even better season as Burkart returns behind the wheel for 2017. In addition to racing, Phil owns and operates Burkart Automotive Engine Machine Shop and Performance Center in Yorkville, N.Y. He lives in rural Yorkville with fiancé Leeann and their two daughters, Santina and Samantha. Scott is owner and operator of Wide Load Custom Metal, an automotive fabrication shop specializing in extensive American car and motorcycle metal work and skilled in servicing all aspects of your collection. Scott graduated with a degree in welding engineering from Wentworth Institute of Technology in Boston, MA and joined the Follow A Dream Team in 2003. David Thornton is owner and operator of North Street Automotive in Hyannis on Cape Cod, Massachusetts where he resides with his girlfriend Rachel and their two dogs. David is originally from Needham Massachusetts and has 40 Years of Automotive mechanical experience. David has always enjoyed drag racing and occasionally raced his GTOs at New England Dragway in the late 70s and early 80s. David is thrilled to join the team. “I never dreamed I would be lucky enough to work on a TA/FC crew! 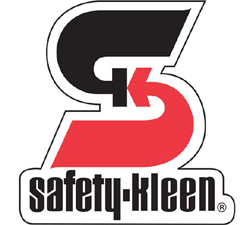 Jay and the whole team have been so welcoming and helpful.” When David is not at work, he enjoys spending time at the beach with his girlfriend and their dogs. Joe Driscoll is new to the team in 2018 and came on board as a clutch mechanic. His interest in cars and racing started early in his youth and led to him driving a C/SM for a few years in the late 70s. 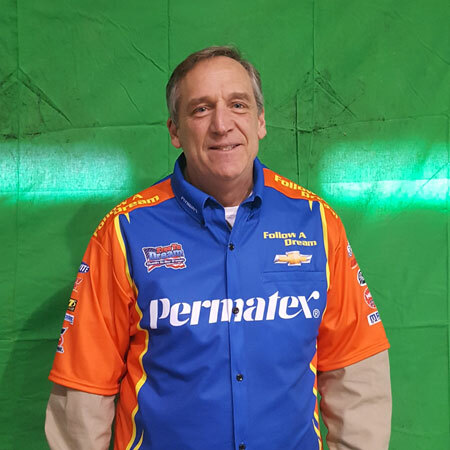 Recently retired from a corporate career in the automotive industry, he is excited to be back at the drag strip working with the Follow a Dream team. In his spare time he also enjoys fishing, working on his cars and home improvement projects, as well as spending time with his daughters and 3 young grandchildren. In his second year as a member of the Follow A Dream Team, Scott will be assisting with the work on the clutch. An automotive technician from Cape Cod, Scott also works reconditioning vehicles. In his spare time Scott enjoys spending time with his family and friends and going to monster truck shows. Longtime Follow A Dream team member Alan Hadfield brings tenacity and dedication to the vital task of machining all the clutch discs and floaters before each race and often wheels the transporter for the team. He has a background in heavy trucks and heavy equipment and has been a mechanic for the golf industry in the Cape Cod area. When the Jr. Dragster class was first created, he built his son a car called “Cape Codder Jr.” (named after his hero Ed Parker’s “Cape Codder” Top Alcohol Funny Car), and the two campaigned it at regional events and at the Jr. Dragster Nationals in Maryland. Rachel has worked for Follow A Dream since 2017. She is a life-long resident of Cape Cod. She has 10+ years non-profit administration experience. 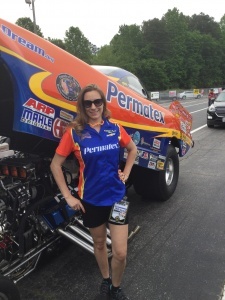 Rachel has always loved racing and brings tons of enthusiasm to the team. When she isn’t at the shop or the track, she enjoys spending time with her boyfriend, her son, and her two dogs. Brian is from Cape Cod, Massachusetts. He has worked for the Follow A Dream team for many years. 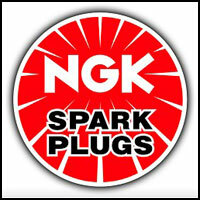 He is always available for shop support and clutch machining. Bob is a self employed plumber who learned his trade while in the US Air Force. 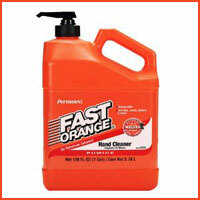 He’s twisted wrenches on cars since his teens and later in life raced a nine second Mustang earning two championships. He is also a singer, songwriter, guitar player and likes to jam when the opportunity arises. Bob will be working on the clutch. Anthony Mondi is an automotive enthusiast that has worked on the Follow A Dream crew for about 12 years. 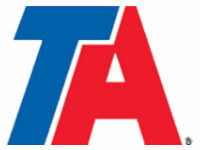 He is currently an automotive instructor at Universal Technical Institute in Exeter, PA where he has worked since 2004. Anthony lives in Morgantown, PA with his wife, Kristen, and his daughter, Olivia. Error: Error validating access token: Session has expired on Friday, 05-Apr-19 07:31:50 PDT. The current time is Friday, 26-Apr-19 05:30:49 PDT. Follow A Dream is A 501(c)3 organization, Federal Tax ID #04-3494320. A 501(c)3 organization allows individuals and businesses to donate gifts, money, or land to a district with 501(c)3 status and receive a tax benefit. To secure 501(c)3 status, a district must meet all of the necessary guidelines as spelled out by the Department of the Treasury Internal Revenue Service.